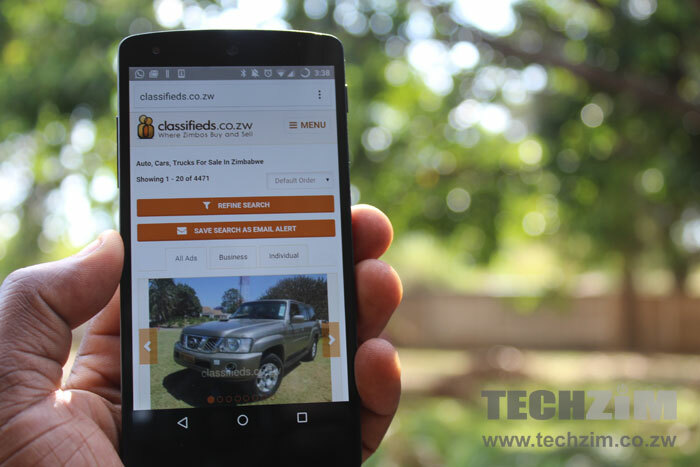 Webdev, the company behind Zimbabwe’s most popular classifieds site has just made two key changes to its classifieds.co.zw marketplace. The first change is the introduction of a business directory section to separate Business to Consumer (B2C) type of selling from the Consumer to Consumer (C2C) type which is now the default. B2C in the online classifieds business addresses the need by companies to reach and sell to consumers online, while the C2C is just regular consumers selling to each other usually stuff the seller doesn’t need anymore at his home, or an online flea market of sorts. The second key change is the new look, which was long overdue and is welcome change. The introduction of a separate B2C section on the site looks like an effort to provide clear value to either type of seller. We have long felt the need for Webdev to choose what type of marketplace classifieds.co.zw is, so that it appeals to its target market clearly, so this change is a good thing. 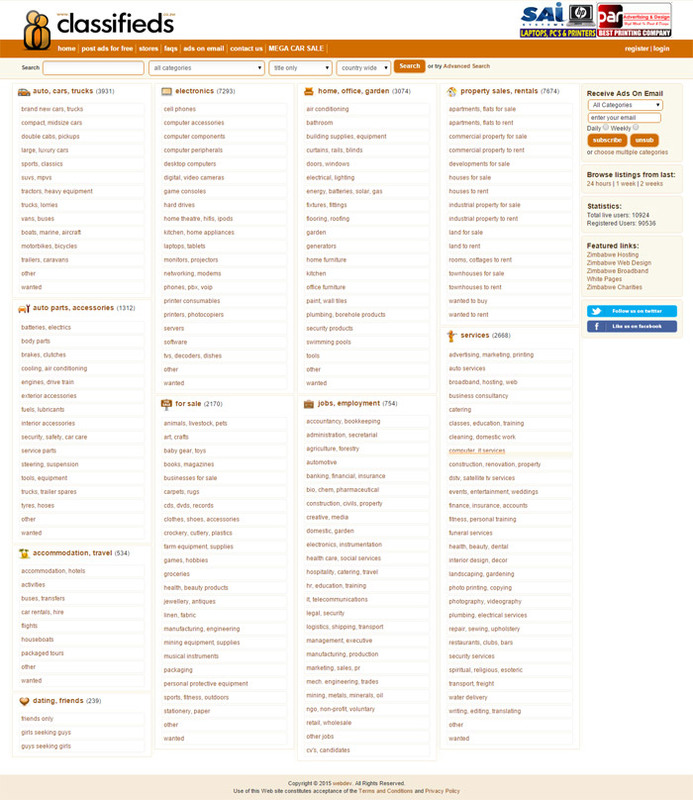 What’s a bit surprising though is that what we thought was the main focus of the old site – B2C type selling and buying – has not been made the default category. It suggests Webdev probably sees more value going forward in C2C trading. A different strategy would have been to create a completely different site for the C2C and leave the existing site to continue its B2C trading. 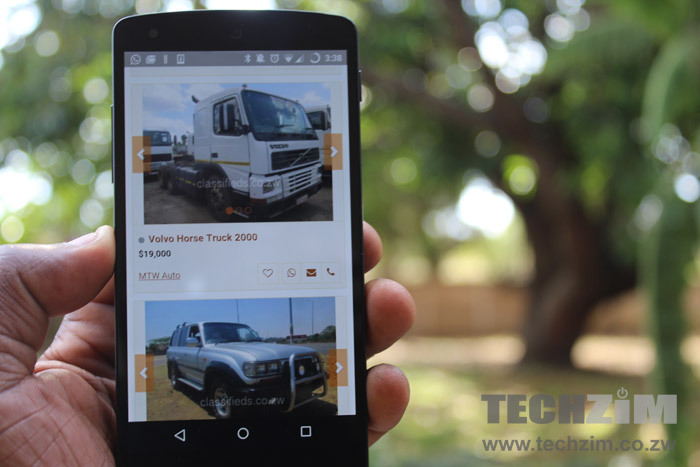 Launching a new site would have its pains ofcourse in terms of gaining traction, and the company is already fighting a new entrant that is using the muscle of a mobile network behind it so they have a lot on their plate already. Still, a classifieds brand focused on helping its clear type of customer sounds like something that would stick easier with the both seller and buyer. We’re also not sure how the business type guys who are paying to have a storefront will feel about being a secondary section on the site, but guess at the end of the day it’s all about the traffic and, subsequently, the sells they get. If there’s no decline in business form the site then why cry? Another thing is that term “directory”. It doesn’t say marketplace at all – rather calls to memory the TelOne yellow pages section in that old encyclopedia size book which I haven’t opened in ages. But that could just be me. Curious to know what others think in the comments. All this said, we are keen to see how the strategy of having both types of marketplaces on the same site pans out. A slight disappointment with the launch is the lack of online payments and an auction system to allow buyers to offer a price & quickly pay for an item when price is accepted. The company has developed and operates Zimbabwe’s only reliable payments platform which is working quite so we don’t understand what’s taking so long. We asked Webdev founder, Garth Drummond,about this and he told us they needed to change the platform first which would enable them to do the bid and pay stuff, and more. Onto the new look. It’s nicer, especially on mobile. 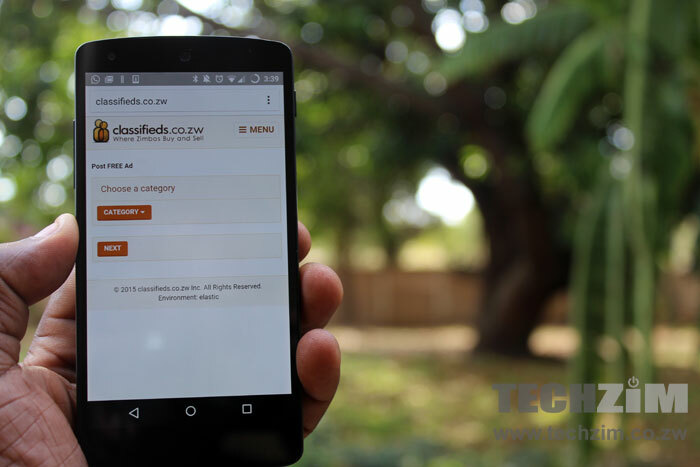 Though not mobile only which betrays am attachment for the desktop experience (over 90 percent of internet connections in Zimbabwe are via mobile) the mobile experience is quite good and hopefully the data footprint is great too. Data footprint is ofcourse very important because of the Econet zero rated Ownai that they need to defend their turf against. 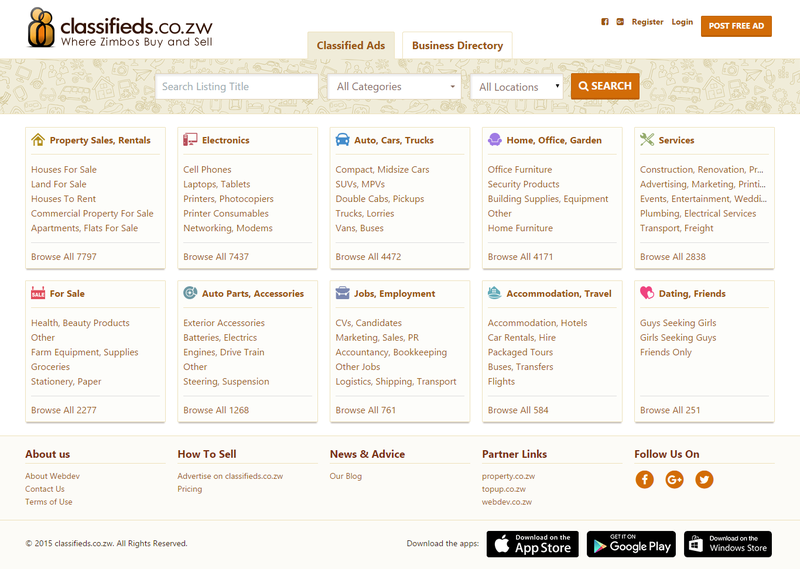 That said, online classifieds in Zimbabwe is still a very young sector and there’s lots of room for growing the cake. Why I say so is that my mind still doesn’t default to selling online when I have something to get rid off. I just let it sit somewhere around the house or sell offline to a friends that expresses interest. We sent a couple of questions to Webdev founder and he just got back so expect another piece shortly with their take on the new changes. Looks like they have copied some of the features from ownai.co.zw . Better than their previous site but I still think ownai have the upper hand. Plus ownai offer unlimited free lists and free browsing. But good to see there are now 2 classifieds sites that offer a nice experience. I still prefer ownai.co.zw. It offers more benefits to users – free SMS, unlimited free listings and above all zero-rated website. I’ll probably use both though. But I think ownai will allow sellers to reach more customers given the subscriber base econet has in zimbabwe. Improvement but looks like they just copied from Ownai. I’m sticking with Econet on this one. Think it has a lot more potential. Classifieds have been around too long and haven’t really made much of an impact. They saw ownai and quickly updated their site. Guess that’s how competition breeds improvements. Will be interesting to see them battle it out. My bet is on ownai. I quote “The company has developed and operates Zimbabwe’s only reliable payments platform” Are you saying pay4app isn’t reliable?? I thought that was a brilliant solution? Both http://www.ownai.co.zw and http://www.kwesesports.com are on the ground not zero rated as is being advertised. Try it when you have zero credit balance in your phone. For the avoidance of doubt try other zero rated sites like http://www.msu.ac.zw and you will understand what am saying. The econet employees be trolling the comment pretty hard these days. They sure are, quite unashamedly! I’d like to declare that I am not an econet staff member not do I work for WebDev. 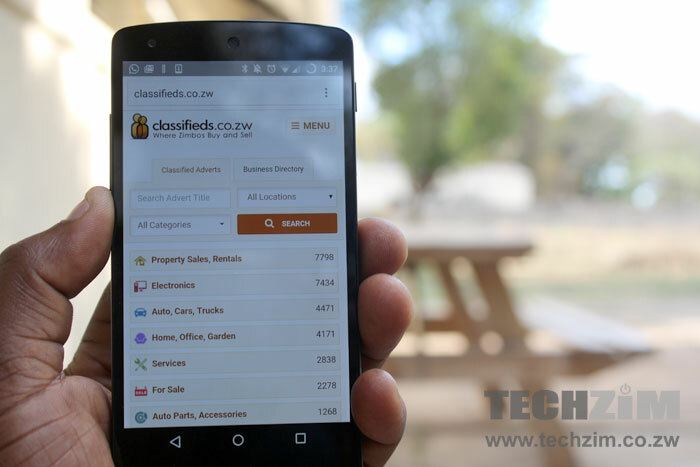 I have used http://www.ownai.co.zw and http://www.classified.co.zw and think both provide a good service to people wanting to advertise their businesses and services. However, if I had to choose to only use one, I think it would have to be Ownai. I think their site is easier to use and less cluttered. Also, I like that they allow users to post unlimitted free ads whereas classifieds has restrictions and makes you pay above a certain number. Finally from a marketing point of view, I think listing on Ownai allows you to reach a larger audience than classifieds. Econet has a far bigger subscriber base that they can market Ownai ads to which should result in quicker sales. I will continue to use both for now.